Another blast from the past! This custom wedding invitation was featured on Ruffled blog last year. 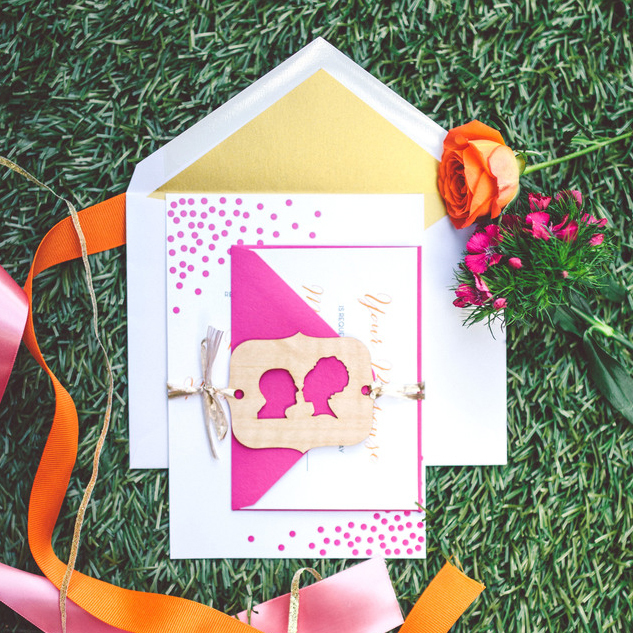 Photographed by Mel Nocks in Greenville, South Carolina, you can see more images of our laser cut products and this invitation here on Ruffled blog. Please also visit www.sofiainvitations.com for more of our work.